Description: I love this quilt! 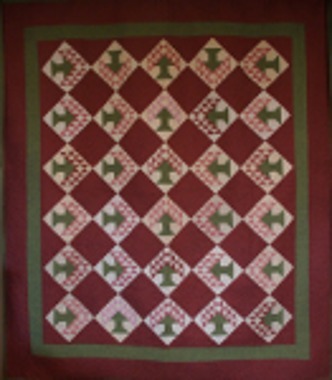 It is a remake of an antique quilt done in similar colors. I especially like that the trees are set in the different directions. Enjoy making this new "antique".